Wollongong-based based artist Emily Duncan has recently debuted her new solo project. 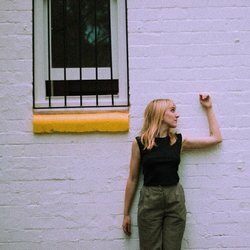 Her music is a crossover between the folk inspirations that followed her through teen years, and the modern sounds she was exposed to after having moved from the isolated Wallacia, to the musically emerging city of Wollongong. Emily Duncan has been performing acoustic, folky tunes for most of her life, influenced by the limitless vocals and whimsical lyrics of Regina Spektor and First Aid Kit, but a developing taste in new directions has sparked an interest in the modern soul vibes heard in the new material. After a year of touring as a member of Jack R Reilly’s live band, Emily has been inspired to start anew sonically after becoming an active participant in the Australian DIY community. Silence is Safe is about the temporarily of modern relationships and being kept around as a back-up plan. Produced by previous housemate Jonathon Tooke (Cry Club, Jack R Reilly, Merci Mercy), this dreamy tune is the aftermath of a storm, calm and painful at the same time.